Quality and effectiveness of services. Cost-Productivity Ratio: Highly competitive at the international level. Strategic location in USA. The Aviation community in Miami-Dade County: its leadership position in the maintenance and training market, in America and worldwide. The foundation for growth, especially in the maintenance and training industry, stems from the private sector’s enterprising and professional activity, combined with the effective use of the official sector’s regulatory and promotional tools. 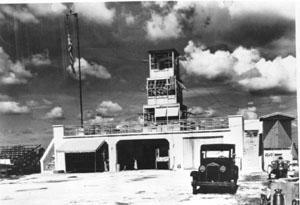 In fulfillment of this function, Miami-Dade County has its own Aviation Department that operates six facilities: Miami International Airport (MIA), Opalocka Airport (OPF), Kendall-Tamiami Executive Airport (TMB), Dade-Collier Training Airport (TNT), Homestead General Airport (X-51), and Homestead Regional Airport (HST), which is currently in the process of being conveyed to Miami-Dade County. The following 1998 statistical data, pertaining to Miami International Airport, are just a sample of the achievements derived from this optimum combination of private and public efforts. As Show by the foregoing figures, Miami International Airport (MIA) has become, along with the other Miami-Dade County airports, the aviation hub with the largest volume of economic interchange with Latin America, and one of the major airports worldwide, ready to fulfill the ever-growing needs in the areas of passenger and cargo traffic, maintenance and training. All this activity takes place within the natural and human framework of Miami-Dade County, South Florida. Tourism, being and industry that keeps on growing free from the pollution of chimneys, the area also remains attractive for many other kinds of businesses. One essential aspect is the professional organization and know-how to be found at MIA. For the airlines, this entails the capability to serve the needs not only of its own aircraft, but also of outside aircraft, that in MIA can meet the deadlines established for operators and corporations engaged worldwide in the air commerce industry. This applies most especially to Latin America, due to geographical proximity, to the knowledge and use of Spanish in Miami-Dade County, and to reasonable costs. The repair stations approved by the U.S. Federal Aviation Administration (FAA) provide comprehensive services for commercial aircraft, up to “D” Check inspections Specialized companies are in charge of performing inspections and major repairs on landing gears and turbines; Stage III requirements on engines for compliance with noise reduction regulations; conversion of passenger airplanes to cargo aircraft; structural changes; etc. Out of a total of 5.035 maintenance companies approved by the FAA in the U.S., 498 are based in Florida (298 of them in Miami). ‘ Our goal is to optimize the value of the aviation business, providing our clients with the best quality of professional maintenance of aircraft’, summarizes Mr. Henry Alvarez, President of Avborne Heavy Maintenance, a company based in MIA. Economy: US$ 13 billion annually in the South Florida Region, from economic activities such as tourism, the cruise ships industry, and international trade an commerce. Ranking (USA Airports): First Place in international Freight. Second Place in International passengers. Second Place in total freight. Seventh place in total number passengers. Worldwide Airports Ranking: Second Place in total freight. Third place in international freight. Twefth place in total number of passengers. Operations: 536,262 takeoffs and landings (1,467 per day). Passengers: Total: 33, 935, 491 – Daily Average: 92, 974. Cargo: International: 1, 585, 457 tons. Domestic: 391, 400 tons. A major concern of all of these maintenance companies is the priority they give to the professional training of their technicians in their own training schools, FAA-approved. Through the example given by the maintenance service provided by Avborne Heavy Maintenance, it can be appreciated in general terms that the maintenance operations of passenger and cargo aircraft are performed in a highly professional environment that entails proven quality and reliability of service. In this scenario, maintenance is a fundamental feature whose function is to offer the operator flawless service. Operators should know that this professional maintenance work ensures minimization of downtime for their respective fleets. The best method to achieve this goal is to apply all of the inspections -and also all the repairs called for, following these inspections- to the ongoing analysis of manufacturers and operators, based on the know-ledge, that is gained from using specific aircraft. In this context, the FAA, the manufacturer of the aircraft and the operator become members of a maintenance review committee. This committee, using the initial Operation Manual as a starting point, will recommend the modifications and improvements to the maintenance process, as additional experience is gained over time by flying the aircraft. The committee will recommend also how often maintenance operations must be performed. * Major inspections: ‘A’, ‘B’, ‘C’ and ‘D’ Checks. 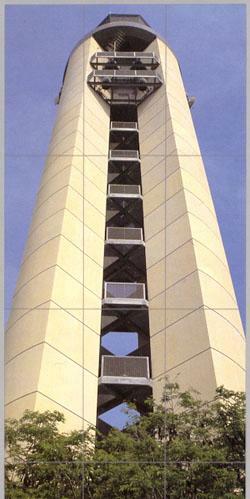 * Major and intermediate repairs of metallic structural parts. * Special maintenance programs for aging aircraft. * Standardization of control cabin. * Conversion of passenger to cargo aircraft. * Installation of cargo doors. * Stage III modification to engines to reduce the noise level in order the allow flights over U.S. territory. * Installation of fuel tanks for extended flight range. * Avionics for TCAS / windshear. * Structural tests using X-rays. * Interior modifications and remodeling of passenger cabins. * Sealing of fuel thanks. * Minor inspections, including main lines, and replacement and repair of turbines. ‘A’ Check Inspection takes place approximately at 150-hour flight intervals. The objective is a preventive examination of the fuselage, the navigation and communication equipment, the engines and their accessories. It establishes the general condition of the aircraft. This inspection takes 8 hours and requires 60 man-hours. ‘B’ Check Inspection takes place approximately at 700-hour flight intervals. It is considered as an intermediate service inspection. Operational tests and the inspection of liquids and lubricants are added to the Level ‘A’ test. This inspection takes 8 hours and requires 200 man-hours. ‘C’ Check Inspection goes deeper, depending on the FAA’s approval of the maintenance program used up to then, and its results. It includes the same items included in the level ‘B’ Inspection, but now adding the lubrication of the engine and command systems; servicing of filters, and a visual inspection of the outer and inner structures performed by the panel of inspectors. It takes place at 1,000 hour flight intervals and requires 12.000 man-hours. This may change according to the type of aircraft and the operator’s maintenance requirements, as previously approved by the FAA. ‘D’ Check Inspection allows the aircraft to go back to its original 0-hour status. It includes the same steps included in the level ‘C’ Inspection, but it goes deeper in the revision of the structural functions and the systems. The aircraft is dismounted, so that its whole structure may be inspected and examined. After this inspection and repair provided as required, the aircraft structure and its various systems are carefully reassembled. This inspection takes place at flight intervals between 10,000 and 25,000 hours, depending on the type of aircraft and the operator’s maintenance requirements, as previously approved by the FAA. It usually takes 28,000 man-hours. This process implies dismantling entirely the inside of the aircraft, reinforcing the entire structure of the cabin, installing a new cabin floor, ‘trimming’ the fuselage to position the wide loading door, reinforcing the structural anchorage of the fuselage to provide support for the loading door, replacing the windows with metallic parts, and manufacturing and installing the wide loading door. These extensive changes require Supplementary Type Certificate (STC) granted for each type of aircraft to the company in charge of the conversion. These conversions are very much in demand in the international market, up to the point that maintenance centers are working at full capacity for major companies, such as DHL, Emery Worldwide, UPS, USAir Shuttle, Miami Air, European Air Transport, etc. Market sources foresee that in the next few years around 2,000 aircraft will be in line to be submitted to this conversion process. This is a consequence of the ever-growing volume of air cargo and courier services. Most conversion requests are for wide and narrow body aircraft. This is quite understandable, considering that the goal is to optimize the international cargo business. 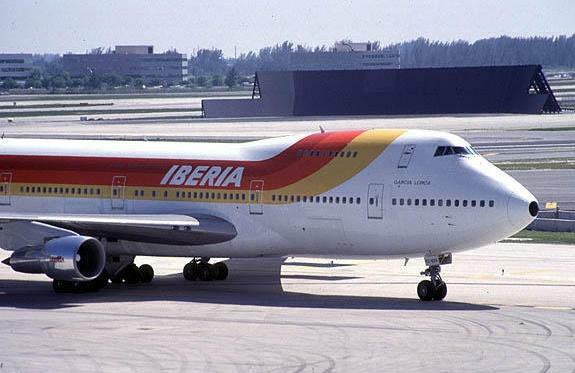 The following instances are just a few example of the impressive maintenance capabilities currently found in Miami-Dade County, working within a framework of considerable expertise and professionalism and providing the best possible cost-return ration to aircraft operators in Latin America and the world. Fine Air -thanks to their commitment and perseverance- is an air cargo company with a staff of 1,050 employees. It plays a primary role in moving cargo traffic to Latin America and the Caribbean. 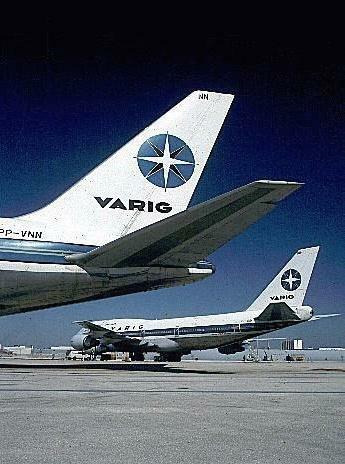 This company has 14 DC-8s and one L-1011. To add 15 years to the useful life of the DC-8s, and to make the cargo business profitable, Fine Air joined forces with its partner Quite Technology Venture Ltd. Working together, they have developed the necessary equipment, (Hush-Kits) to be added to the engines of their DC-8s in order to reduce the level of noise, measured in decibels. This will allow their aircraft to fly over U.S. and European territory, where current regulations seriously restrict the operation of obsolete aircraft. Without this equipment, no airline will be allowed to operate, after the year 2000, any cargo and/or passenger flights to and from the U.S. and Europe. Presently, there are approximately 70 DC-8 aircraft throughout the world with JT3D turbines that will require such outfitting. The two companies have also developed hush technology for installation in the 150 units of BAC1-11 that are still flying, and have made an offer to the US Air Force for the outfitting of their C-135B’s, whose commercial counterpart is the B-707. With its daily schedule and around the clock timetable. Fine Air served 1,200 customers throughout the world in 1998. During the period, the airline flew 159,071 tons of air cargo, or 8% of the total that passed through Miami International Airport. ‘Fine Air keeps low its operational costs through the acquisition of second hand aircraft, engines and spare parts in an excellent condition, and centralizing in Miami its flights as well as the maintenance operations’, says John Zappia, Chief Operation Officer for Fine Air. Fine Air serves 23 destinations through a regular air and land cargo service. The company provides also other services, such as long and short term aircraft rentals. These rental agreements also include crew, maintenance services, and insurance. Among its customers, we can mention Airborne Express, Emery Worldwide, BAX Global and United Parcel Service (UPS). 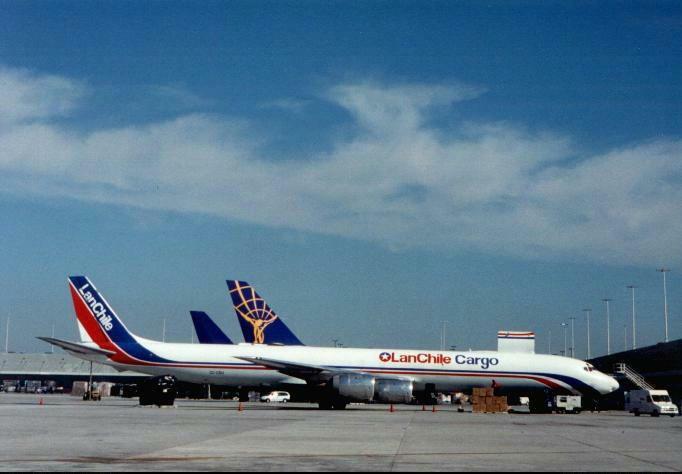 They also transport cargo on behalf of various airlines, thanks to agreements subscribed with Air France, China Airlines, Continental, Iberia, etc. The company is also authorized by the U.S. Department of Defense to move military cargo dispatched to Latin America and the Caribbean. Recently, Fine Air paid US$115 million to acquire Arrow Air Inc, a major cargo airline based in Miami. Under the agreement, Fine Air Services Corp. the holding company for Fine Air Services, Inc, would acquire 13 DC-8s and four L-1011’s along with approximately 130 jet engines (JT-D’s, JT8-D’s and RB-211’s), support shops and inventories. Aerothrust Corp., specializing in major inspections and repair of turbines and ancillary parts, adheres to the quality control procedures set forth by Regulation ISO 9002. 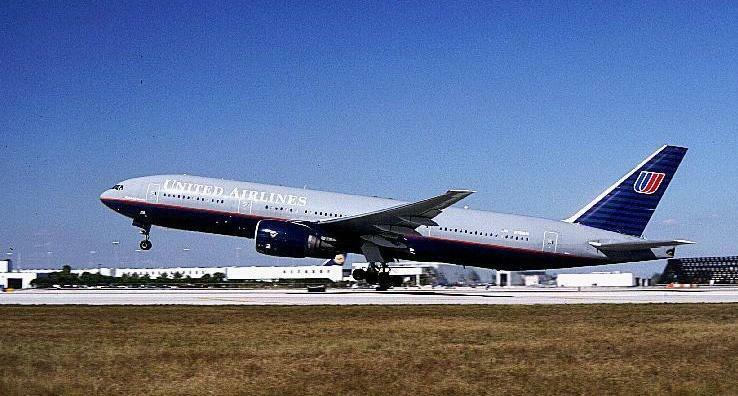 This company services Latin American commercial airlines, and has been engaged in rendering these services during 52 years at MIA. ‘We are pleased of living up to our alliance with Aeromexico. Is has now reached its 15th anniversary’, said James E. McMillen, President of Aerothurst. Their agreement includes annual maintenance of 30 Pratt & Whitney JT8D turbines, and propellers of 29 MD80s and 16 DC-9s. This agreement involves an annual amount of US$20 million. Aerothrust, a Celsius Aviation Services company, is a well-respected concern for its expertise and reliability in giving comprehensive services to the JT8D turbines. 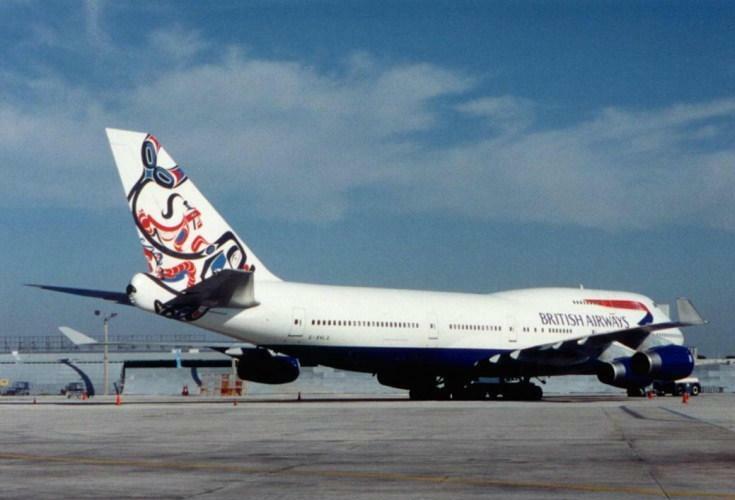 Bahamasair, the Bahamain flag carrier, goes to Aerothrust for maintenance of its B-737-200 engines. ‘ We provide airlines, leasing companies and aircraft operators with the flexibility and convenience of a one-stop source where they have access to a wide range of services, including engineering services, structural maintenance (scheduled and non-scheduled), trial runs and repairs of engines, and avionics inspections and repairs’ , says Rudy Dominguez, Vice President of Commercial Jet Inc., commenting on their many capabilities to offer general technical support to international operators. ‘We provide regular and major maintenance, interior refurbishing, avionics services, installation of wide loading doors, inspection and repair of combining materials, as well as non-invasive inspections with magnafluz, parasitic currents, ultrasound and X-Rays; comprehensive painting jobs, and inspection and maintenance of JT8D turbines’. In the field of electronics, work is performed on controls, and also VHF transceivers, radioaltimeters, weather radars, automatic direction finders (ADF), high frequency equipment (HF), VOR/ILS, distance measurement equipment (DME), air traffic controls (ATC), VOR localizers (VOR/LOC), GPS, etc, are repaired. Pedro Cardenas, President of Miami Modification Center, told us that ‘the problem we are facing right now is that we don’t have enough hangar space and personnel to meet the demand. I fell that to solve this problem we need to develop a much larger repair and modification center in Opa-locka Airport. This center will be built in the near future and will complement our existing facilities. At that time, we will have sufficient room to serve the customers who are currently waiting for an opportunity to increase their fleets of cargo aircraft, especially those assigned to courier operations’. ‘Labor is another problem’, adds Cardenas. There are not enough skilled workers to meet the needs of the market. That’s why we have our own training center. We must prepare the technicians our company is going to need in the years to come’. American Airlines plans to expand by 50% its maintenance operations in MIA and will enroll 24 additional aeronautical technicians for its new activities in Miami, related B-Check inspections. In October of last year, American Airlines hired 41 technicians in Miami to conduct special ‘B’ check inspections on its entire fleet of Boeing 727’s. Average annual salaries in 1999 will reach US$55, 540 per technician, which amounts to additional US$2, 000, 000 in American Airlines payroll. In 1999 American Airlines will perform as many as 401 ‘B’ checks on its own Boeing 727, 757 and 767 aircraft in their Miami hangar, formerly occupied by Pan American. This facility’s specialized design allows for maximum utilization of space and ease of access. The hangar features a semicircular, overhanging roof with a 212-foot radius, and rear walls that support the entire structure. Up to the three Boeing 747 aircraft can be parked inside. Each of the hangar’s doors weights 72 tons, and are so perfectly balanced that only one man is needed to open and close the hangar. ‘B’ Checks are performed at intervals of 300-500 flight hours, and they require 100 man-hours for narrow-body aircraft (those with just one aisle) and 200-300 man-hours for wide-body aircraft (those with two aisle),’ explains Engineer John Foster, Regional Maintenance Manager for American Airlines for the eastern U.S., the Caribbean, Mexico and the rest of Latin America. ‘The department has more than 1,000 employees to help maintain the fleet that has 450 daily departures from Miami. American performed 10, 605 Inspections in 1998 including ‘B’ checks along with inspections in other categories’. In Miami, every ‘B’ check inspection begins with 18 technicians working under a supervisor. Maintenance operations are performed which the aircraft are grounded during the night. The inspection includes specific tasks that are listed in the ‘work cards’. These cards specify the control operations, tests and repairs needed by the various systems and parts of the aircraft. 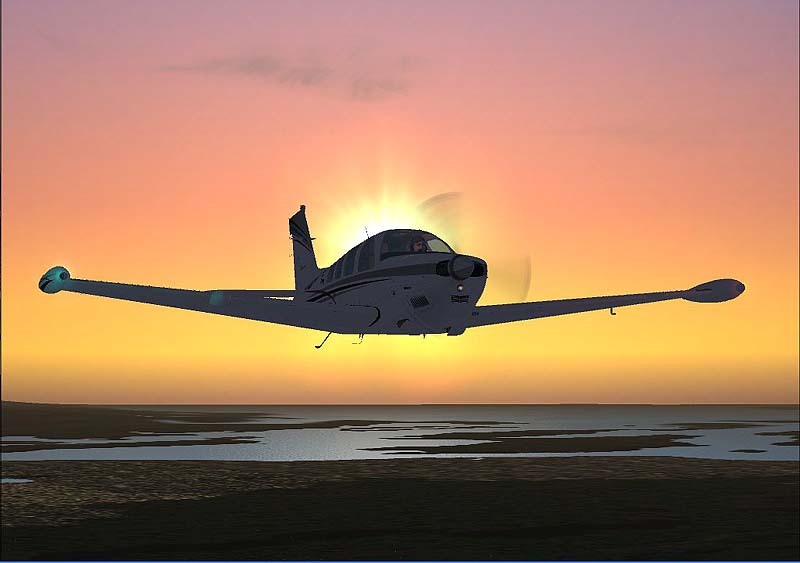 The purpose is to achieve optimum reliability for every flight. ‘We are proud of the on-going expansion of American Airlines operations in Miami’, said Dolara. ‘Beyond a doubt, this means growth for the company and better services for our customers’. These two airports, with an interesting and efficient FBO package at the core of their facilities, also offer important support to the maintenance of aircraft, not only in the area of general aviation but also in the field of general aviation and corporate aircraft. Certified Engines Unlimited, Inc. operates at Opa-locka Airport, servicing piston engine aircraft. ‘We are giving annual major maintenance to more than 300 engines’, said Allen Weiss, Vice President and General Manager of this company. ‘We are a Class-1 workshop, approved by the FAA for power plants of up to 425 hp, including maintenance and non-invasive tests. Our inventory of parts include 200 Lycoming and Continental engines: 1,500 cylinders, 300 electrical accessory parts; crankshafts; camshafts; turbine-driven compressors; fuel feed systems, and new and rebuilt spare parts. In short, we have more than US$3,500,000 in parts for maintenance operations, and also for sale to our customers in the U.S. and around the world’. C.R. Aviation, based at Kendall-Tamiami Execute Airport, is engaged in repair and maintenance work for general and corporate aviation. ‘Our company abides by two basic principles: quality control and after-sale service’, said Miguel Rodriguez, Vice President and Head of the Maintenance Department. ‘We offer comprehensive maintenance; modifications, major repairs and modernization; major annual inspections; FBO services; pre-and post-sale controls; ‘hot-spot’ inspections, import and export of aircraft; advisory services for computerized maintenance programs; navigation and communication electronics, and interior painting and refurbishing’. C.R. Aviation works both on fixed wing and rotor aircraft, including many that are operated in Latin America. The company provides support for Citation, Raytheon, Piper, Twin Commander, Bell, Lear and Astra aircraft.